Shivpal Singh, the special CBI judge who convicted RJD Lalu Prasad Yadav in the fodder scam, made a stunning statement in court on Thursday, hinting that he faced pressure from his aides, news reports said. Singh was quoted as saying that he "got phone calls from Lalu's men." However, he did not clarify as to who made these calls to him. 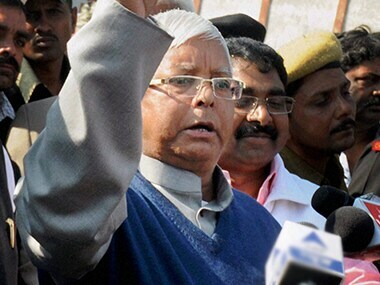 The sentencing of Lalu has been deferred till Friday. Earlier on Thursday, ANI reported that the quantum of sentence was not announced today due to the death of an advocate. 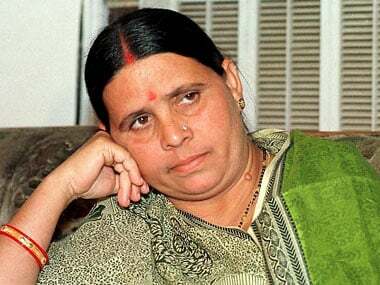 A special Central Bureau of Investigation (CBI) court on 23 December had convicted the RJD chief and 15 others in a case relating to the multi-million-rupee fodder scam. 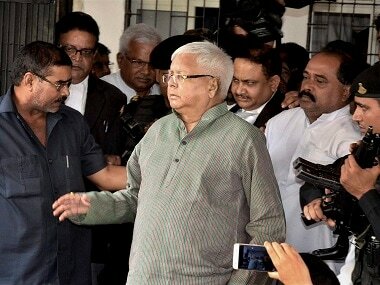 Lalu is at present lodged in Birsa Munda Central Jail in Ranchi. The CBI court had acquitted another former Bihar chief minister Jagannath Mishra and five others in the case, relating to fraudulent withdrawal of Rs 84.5 lakh from the Deoghar district treasury between 1990 and 1994. Lalu was the chief minister of then undivided Bihar from 1990 to 1997. The trial in the case was completed on 13 December in the special CBI court and 10 days later, on 23 December he was convicted.